When AIDS and HIV was still very much in the closet, two legends of the Silver Screen—Elizabeth Taylor and Rock Hudson—brought it out of the darkness and on to the front pages of the world’s newspapers. Besides a lifelong friendship and their iconic stature, Taylor and Hudson shared a passionate dedication to using their celebrity to ignite the movement to rid the world of HIV/AIDS. They also shared an appreciation for the photography of Gary Bernstein. Taylor selected Gary Bernstein to photograph her for countless campaigns and magazine covers, including her Passion Perfume campaign and the cover of her book, Elizabeth Takes Off. 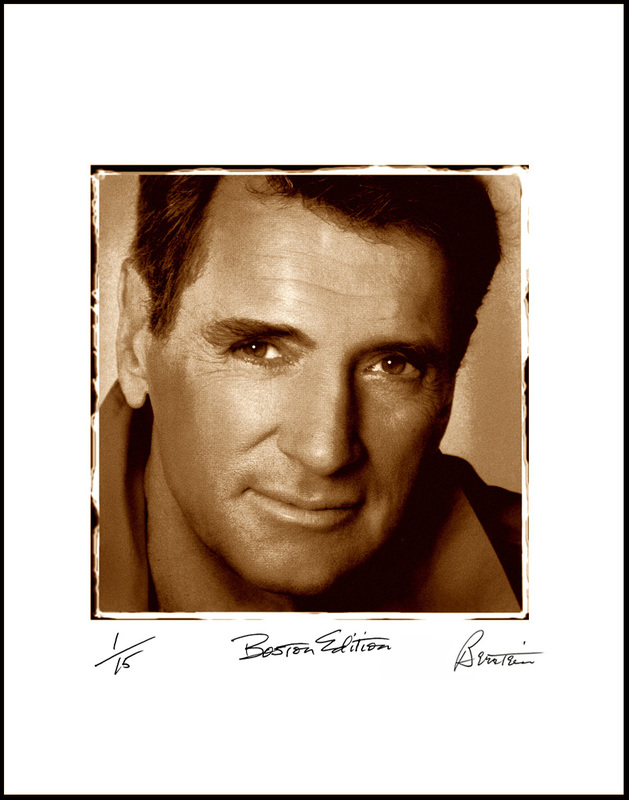 Rock Hudson stipulated the specific Bernstein photograph that he wanted to appear on the cover his personal biography, Rock Hudson, His Story. 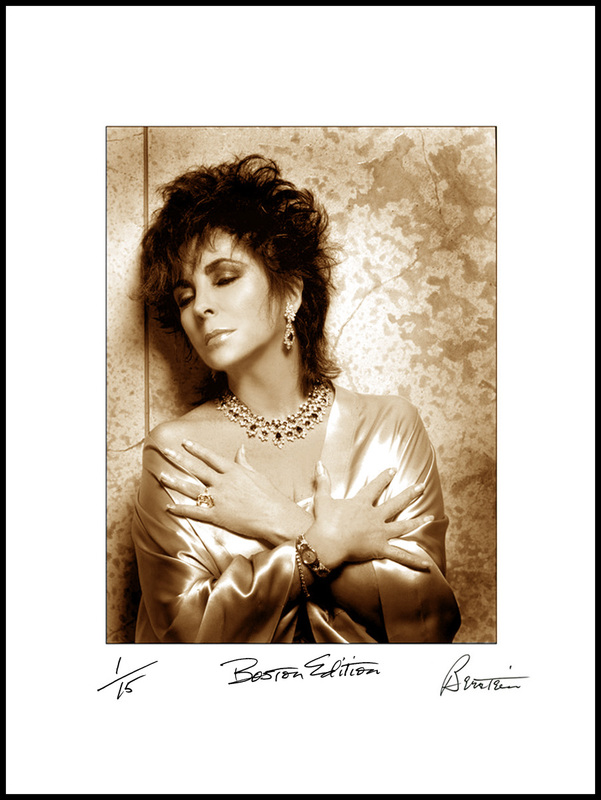 Gary Bernstein as well, was an early contributor to the cause; first on behalf of AMFAR and thereafter for ETAF (The Elizabeth Taylor AIDs Foundation), donating his photography for countless events and for Elizabeth Taylor calendars. Once again Bernstein will contribute his photography for the cause in the form of six signed and numbered archival photographs to be auctioned off at the Women’s Dinner Party and the Men’s Event for Fenway Health. The prints are "one-offs" (meaning, they are one of a kind) images of Rock Hudson, Elizabeth Taylor, Farrah Fawcett, Blair Underwood, Paul Newman and Natalie Wood). He will also produce two special sepia Limited Editions—one of Elizabeth Taylor (a sensual image entitled Elizabeth Taylor and The Krupp Diamond), and a special sepia edition of a Rock Hudson image that Hudson personally selected for the cover of his published biography. Each edition of 15 prints is numbered and signed by Bernstein and inscribed “Boston Edition,” with a portion of the proceeds benefiting Fenway Health. "Elizabeth Taylor and The Krupp Diamond"
Photographed by Gary Bernstein in Hollywood on March 17, 1988, this image has never been published nor has it been offered as a numbered and signed Limited Edition until now. This special sepia rendition, entitled The Boston Edition--is limited to an edition of only 15 prints; each 12" x 18" image (the image size) is printed on 16" x 20" archival gallery paper; is numbered and signed by Gary Bernstein and inscribed by him "Boston Edition." With each print, you will receive a Provenance Sheet bearing the COA (Certificate of Authenticity). A portion of the proceeds from each sale will benefit Fenway Health. The price of the Boston Limited Edition photograph is $2500 (retail value $3500). "Rock Hudson - The Final Session"
Photographed by Gary Bernstein in Culver City, California on April 11, 1984, this image was personally selected by Rock Hudson to adorn the cover of his biography, Rock Hudson, His Story. For the cover, it was printed in color. It has never been offered as a numbered and signed Limited Edition until now. This special sepia rendition, entitled The Boston Edition--is limited to an edition of only 15 prints; each 13" x 15" image (approximate image size) is printed on 16" x 20" archival gallery paper; is numbered and signed by Gary Bernstein and inscribed by him "Boston Edition." With each print, you will receive a Provenance Sheet bearing the COA (Certificate of Authenticity). A portion of the proceeds from each sale will benefit Fenway Health. The price of the Boston Limited Edition photograph is $2500 (retail value $3500). All Photographs © 2017 Gary Bernstein. All Rights Reserved.